"We are very fortunate to have Jim Ham here in Victoria. When I moved here from Toronto, 22 years ago, I was so pleased to discover Jim - then at Old Town Strings - and have entrusted my bow rehairs and violin repairs to him ever since. He also did a major overhaul on my 1918 Gambino violin, and I have always admired how careful and painstaking he is with every detail of his work. He has made an international name for himself as a bass maker with his own personal design to make the instrument more “user friendly” and it was fascinating for me to learn more about his innovation when I interviewed him for an article in the Doublebassist magazine. Jim has a waiting list (from all over the world) for these handcrafted double basses, but I have a hunch that he also still loves to see kids and families, and to have them visit his workshop. I never hesitate to recommend Jim to my students and colleagues for repairs and bow re-hairs - and, you can always count on Jim in an emergency!" "Since 1967, I have commissioned over twenty doublebasses from various luthiers throughout the world. With each instrument I had strong hopes that it would satisfy my dream of the perfect doublebass. However, that dream did not become a reality until 1995 when James Ham presented me with his opus one. 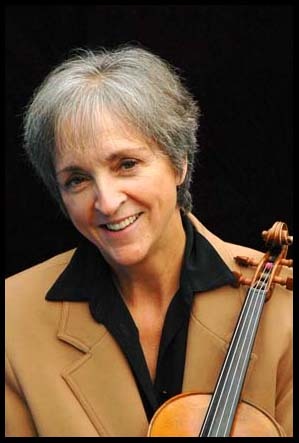 With this instrument, I found the perfect partner for which I had been waiting for more than four decades. Because of James Ham's remarkable innovations, his doublebass proved to be the most user friendly instrument I had ever played. Also, it has a soaring voice that could be heard above the thickest accompaniment of a symphony orchestra. Because of the full range of color that could be drawn from my Ham bass, I stopped using my famed Amati in favor of the Ham for all my recordings and concerts since 1995. I feel truly blessed to have had the Ham bass as part of my life during the past 13 years. It has had a powerful influence on my playing that I have not witnessed with any of the other great instruments I have owned throughout my career. For me, James Ham is the most important luthier in the history of the doublebass." of back and shoulder tension. Also this bass eliminates many of the travel problems I have had with other basses. Finally, the adjustable neck block has eliminated the need for sound-reducing bridge adjusters or traveling with multiple bridges. 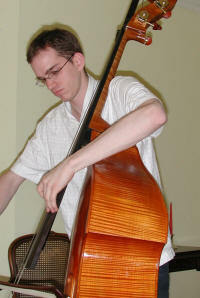 I would recommend James Ham double basses for any professional bassist." 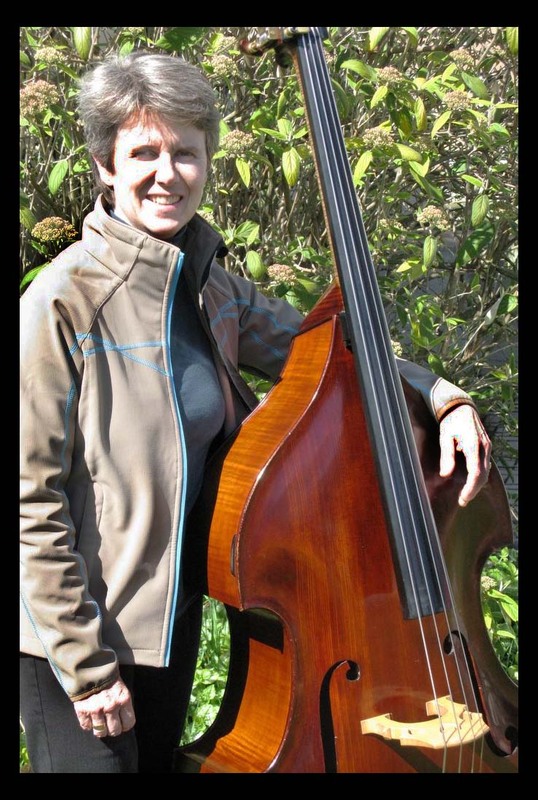 "I commissioned my double bass from Jim Ham after I had the opportunity to play one of his brand new instruments. 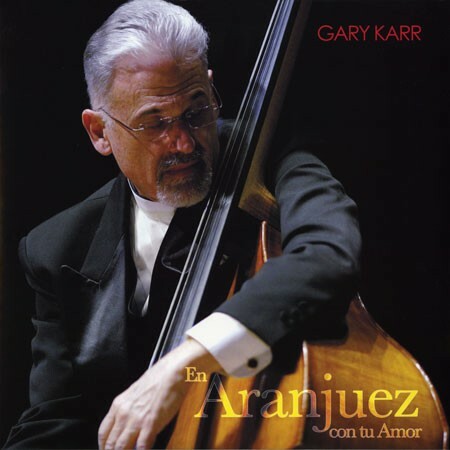 I was blown away by the powerful sound I heard in all registers of the bass combined with its incredible playabilty. I knew right away that this was the instrument for me! I ordered the gamba-shaped model, and throughout the construction process it was clear that Jim’s sole intention was to build the best instrument for me personally, and he was very happy to work with me to that end. Jim’s virtuosic craftsmanship, obsessive attention to detail, and advanced ergonomic design concepts make his instruments the finest in the world. I couldn’t imagine playing another instrument. 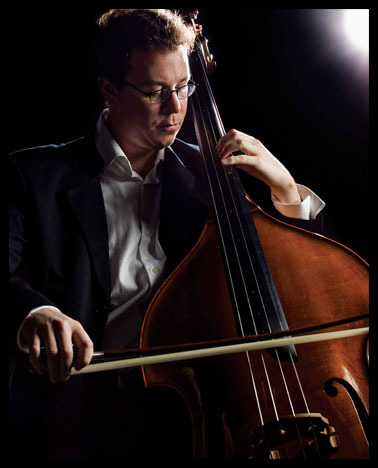 I wholeheartedly recommend Jim Ham’s double basses to any musicians seeking the highest quality double basses available." I bought my James Ham double bass, his second creation, eleven years ago. The velvety sound and feel of his first bass, commissioned, owned and loved by Gary Karr, made me drool... almost immediately I decided to commission one of my own. Having enjoyed the strengths and endured the weaknesses of seven basses during my career as Principal Bass of the Victoria Symphony, I was ready for my final choice in instruments and I took the plunge. Seven months later I received my beautiful, dark, sloped-shouldered bass. Jim Ham, a genius in instrument design, had kindly allowed me to be involved with the varnishing process and together we had decided on a simple E string extension (senza mechanical fingers!) for the demands of orchestral repertoire. I love this bass every time I play it, for its ease of tone production, both in orchestra and in chamber music, and its ability to project in solos. The strings are closer together and the tuning pegs are designed for precision in tuning. The fabulous feature of a moveable neck that does not change the pitch when adjusted, makes different performing styles so easy, from Bach to Brahms with a simple turn of a key. Finally, the sloping shoulders make the high register easy to reach. I have never looked at another bass since and I endorse the Ham bass whole-heartedly.